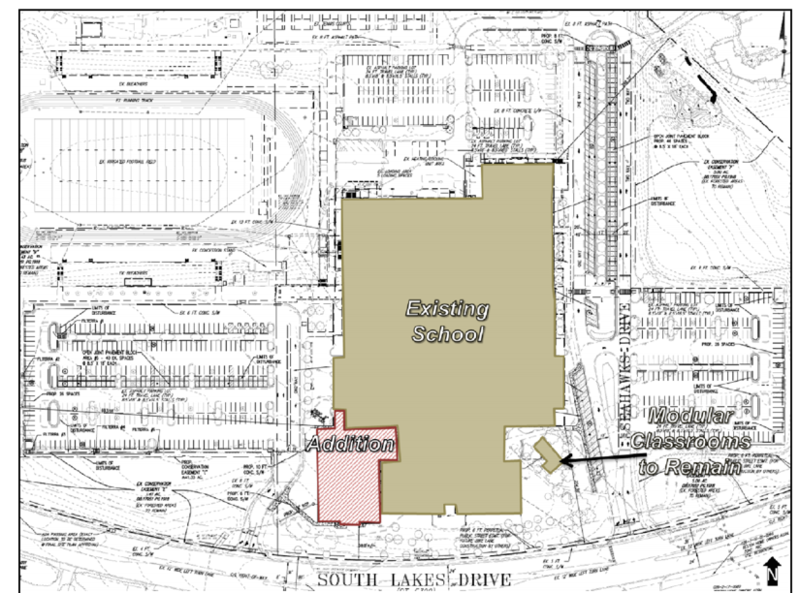 Fairfax County Public Schools has proposed a new addition for South Lakes High School that will add 40,000 square feet to the school, but the school is in danger of outgrowing the added space as soon as it is built. The proposed addition will bring SLHS’ capacity to 2,500 students. That capacity appears to be needed though as current enrollment is 2,446 in a school designed for about 2,100 students. The addition comes less than 10 years after SLHS underwent a major renovation that increased capacity by about 1,000 students. After a sometimes-contentious redistricting process in 2006, the school, which then had about 1,400 students, soon after had more than 2,000 students. Temporary classrooms have been added to the property in the last several years to handle overcrowding as school population, reflecting an overall trend in FCPS, has continued to grow annually. If the trend holds, SLHS may be close to 2,900 in the next several years, FCPS officials said in the most recent FCPS Capital Improvement Plan. 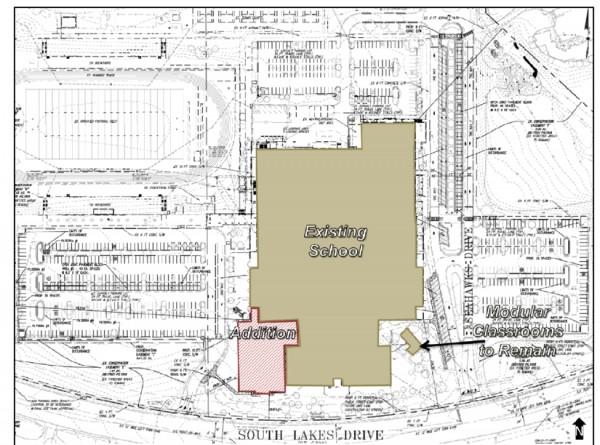 The South Lakes addition, which will be paid for from a 2013 school bond, is on the Fairfax County Planning Commission agenda for Oct. 15. Residents may speak at the public hearing portion of the meeting, which begins at 8:15 p.m.
A two-story, 40,000-square foot addition at the southwest corner of the building along South Lakes Drive. The construction of the addition would expand the school to 373,750 square feet. The addition will have classroom space to enhance the capacity of the existing school from 2,126 students to 2,500 students. Also planned: 128 new parking spaces, which would be located along Seahawk Drive in the proximity of the school’s entrance and within the existing eastern and western parking lots, for a total of 758 parking spaces. FCPS will provide additional stormwater management through the installation of open joint pavement blocks and five filterras (filter systems). 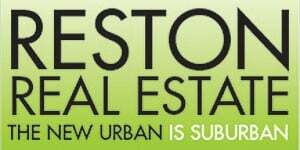 The staff report, which recommends approval of the plan, says “the proposed expansion has received prior approval by a public bond referendum, is included in the county’s currently adopted Capital Improvement Program, and does not significantly impact on the character of the existing facility and its compatibility with the surrounding” area. The modular classrooms currently located on the future site of the addition will go away. But a series of other modular units, which house special education classroom, on the flagpole side of the school will remain. South Lakes may still install more modular classrooms on the property if needed to accommodate future enrollment. Rendering courtesy of Fairfax County.